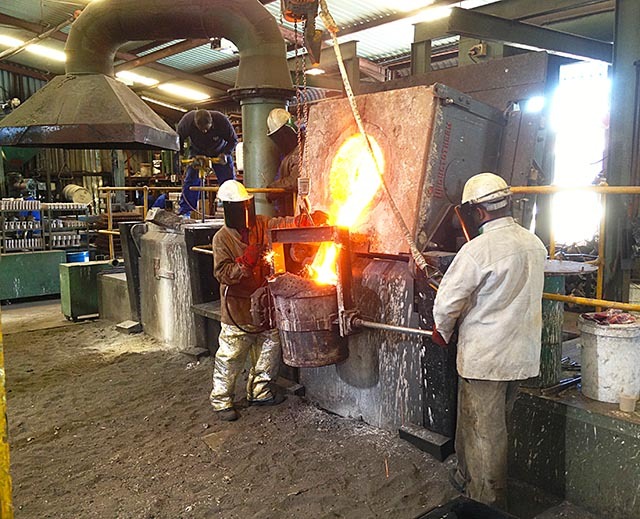 GPM’s production facilities are well established and include a professional design facility and a cast iron foundry on the premises, all operating in accordance with ISO 9001:2015 standards and manufacturing to local and international specifications. The keys to the long life and superior operation of GPM products are in their casings, gears and shafts which are made of the most advanced materials. The foundry has been in operation since February 2002. It produces Grey Iron, SG Iron and Compacted Graphite Iron (CGI) materials and bronze cast components which are assembled in a wide variety of configurations to suit almost any application.. The superior metallurgical structured CGI material is used in the manufacture of the higher pressure requirements of our Bushing Pump Range. Waste reduction is taken seriously. In the interests of the environment and to further contain costs, GPM invested in a swarf pelletizing machine. Iron and steel swarf and off cuts from the factory are processed into pellets and recycled through the foundry, making up a large portion of its input. Bronze castings for the machining of thrust plates are produced in a similar fashion. Machining coolants and cutting oils are also recycled. GPM has been certified in accordance with the various ISO 9001 standards since 1992. GPM is conscious of its responsibility to the environment and future generations. It is certified in accordance with ISO 14001:2015 Environmental Management Standards. See GPM’s ISO9001:2015 and and ISO 14001:2015 certificates here. 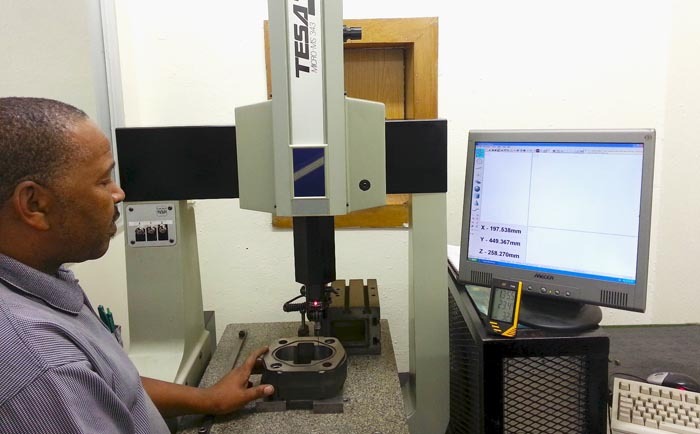 Their quality management system makes use of statistical analyses to determine manufacturing process capability. The stability of manufacturing processes is continuously monitored and managed via machine run charts. In line with their technology investment philosophy, they have recently invested in a 3 dimensional co-ordinate measurement machine. This will increase productivity by means of faster first-off measurement as well as enabling expanded statistical sampling checks. Exclusive Distributors of Gear Pump Manufacturing (GPM) Hydraulic Equipment in the UK, Europe and Middle East. Parker, Commercial, Permco, Metaris, Hydreco, Cessna, Webster, Cassapa, Ultra, and David Brown are all registered trademarks. Gear Pump Distributors (UK) Ltd is not a licensee or affiliate of any of these corporations.